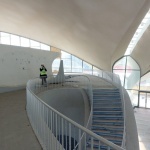 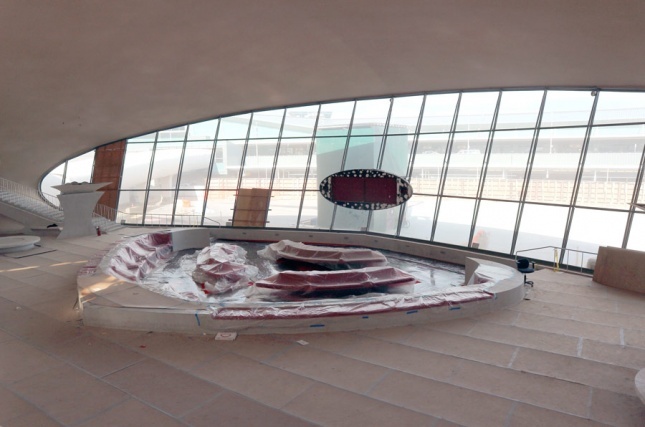 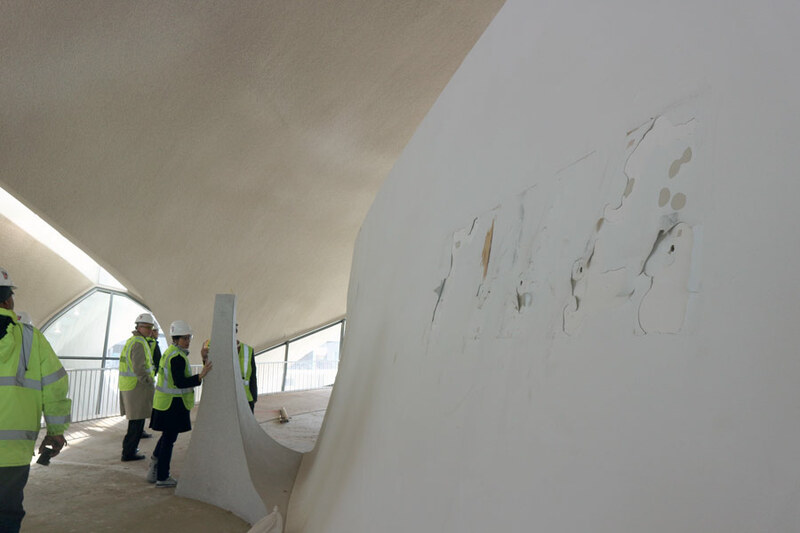 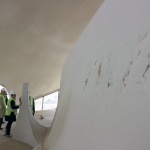 For an unskilled photographer, the TWA Flight Center is a perfect subject. 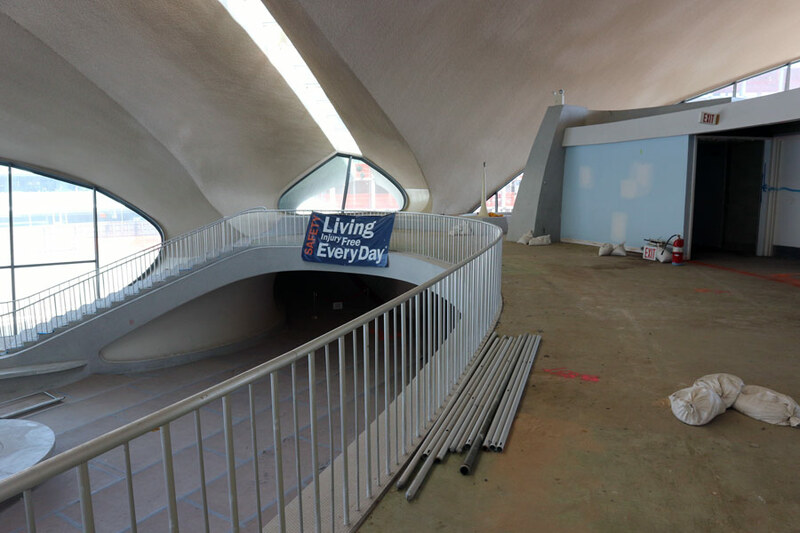 The sweep of Eero Saarinen‘s Jet Age curves are very generous towards those (like me) who can’t intuitively frame a shot. 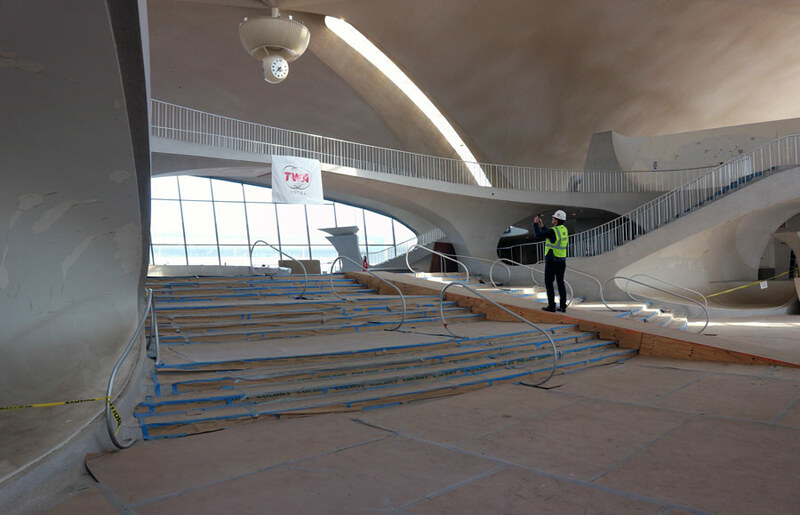 The view up the double staircase towards the thin-shell roof, the sightlines down into the conversation pit, and the vista across the lobby onto the tarmac make almost every (non) angle into a pose. 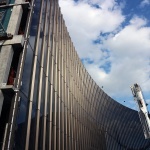 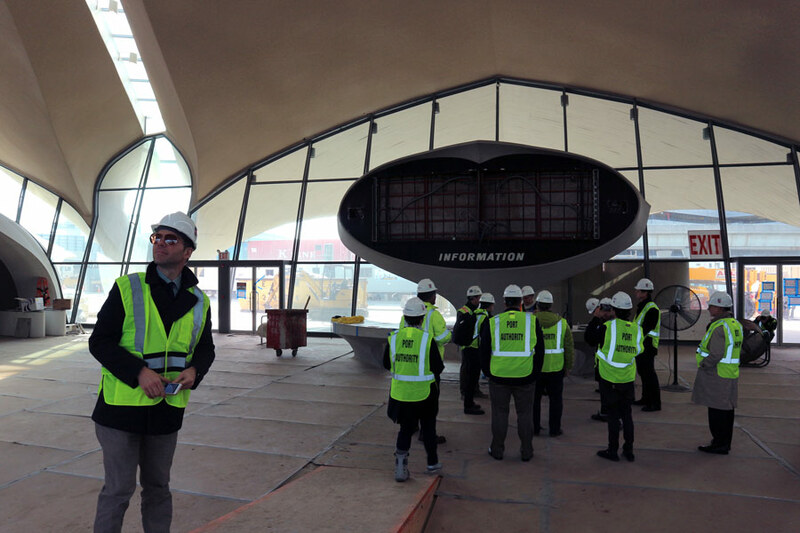 On a recent tour, construction made it even easier to appreciate the structure. 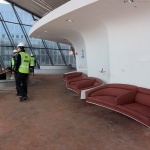 Acres of butcher paper covered the building’s coin-sized tiles, and plastic sheeting shielded the signature red upholstered furniture from dust. 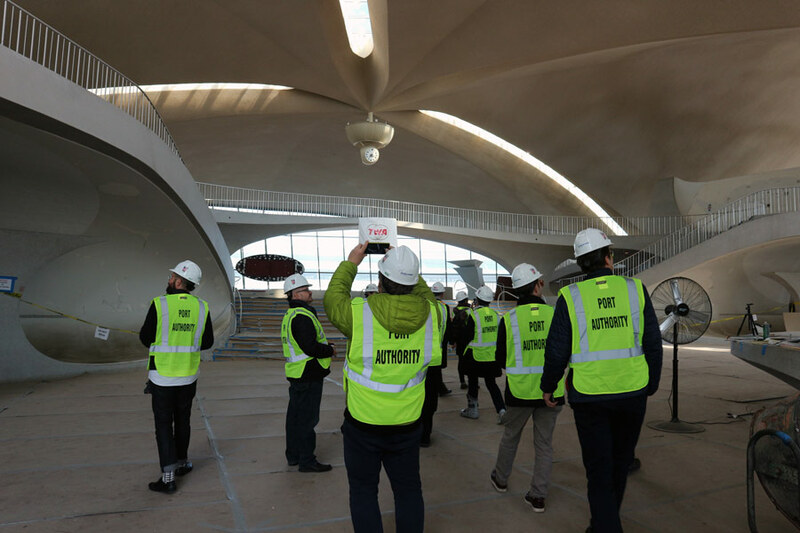 The work is part of a Beyer Blinder Belle–led (BBB) renovation that’s converting the landmarked terminal into a large-scale events center. 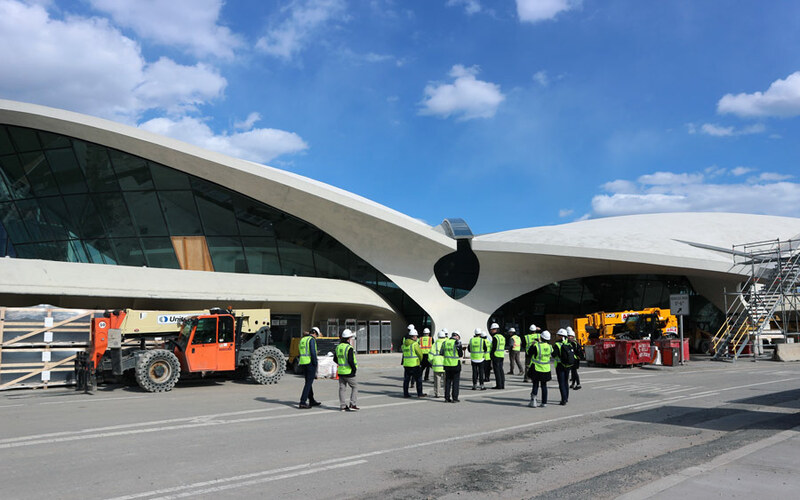 BBB is working with Lubrano Ciavarra Architects to design a high-end hotel directly behind the terminal, as well. 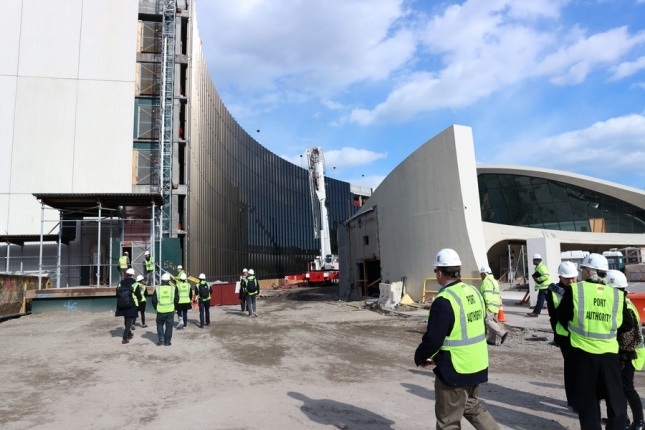 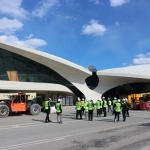 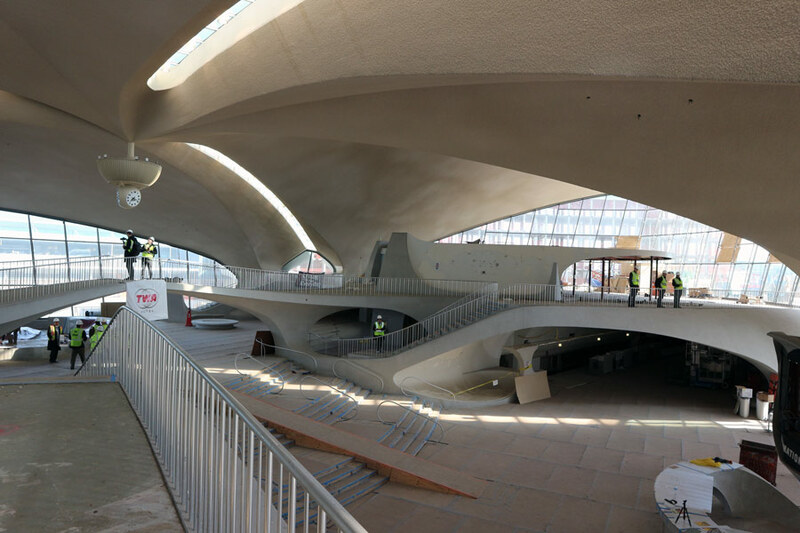 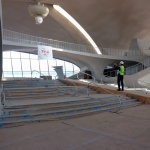 When the complex is complete in 2019, visitors will enter Saarinen‘s terminal beside fountains, pictured above, that will resemble Dan Kiley’s at Lincoln Center, said Richard Southwick, a partner at BBB partner and the firm’s director of historic preservation. 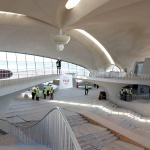 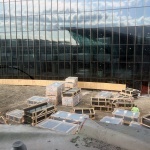 Inside, there will be a food court and conference check-in to the left and right of the old arrivals-departures board. 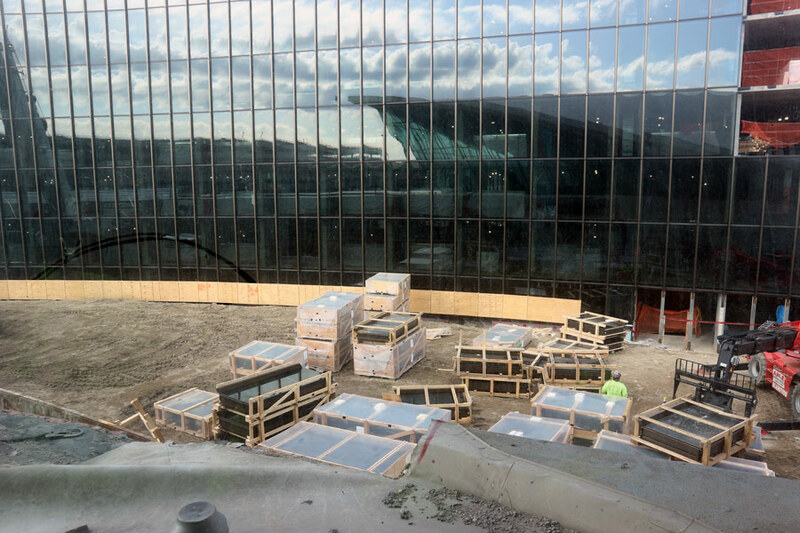 BBB is working with fabricators in Italy to re-create the split-flap display, which could show information about events at the venue, or display drink menus for the many bars that will populate the lounge. 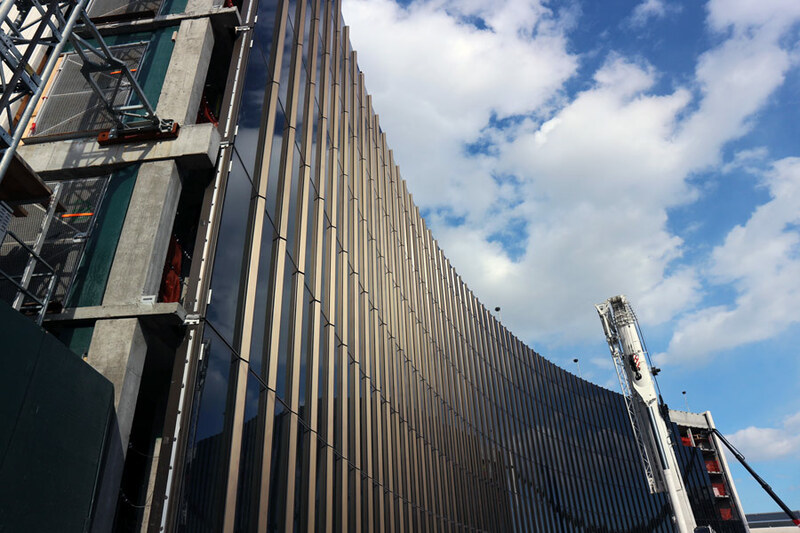 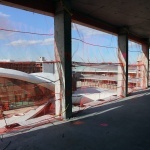 On that same tour, The Architect’s Newspaper (AN) got an inside look at the in-progress 505-key hotel on site. 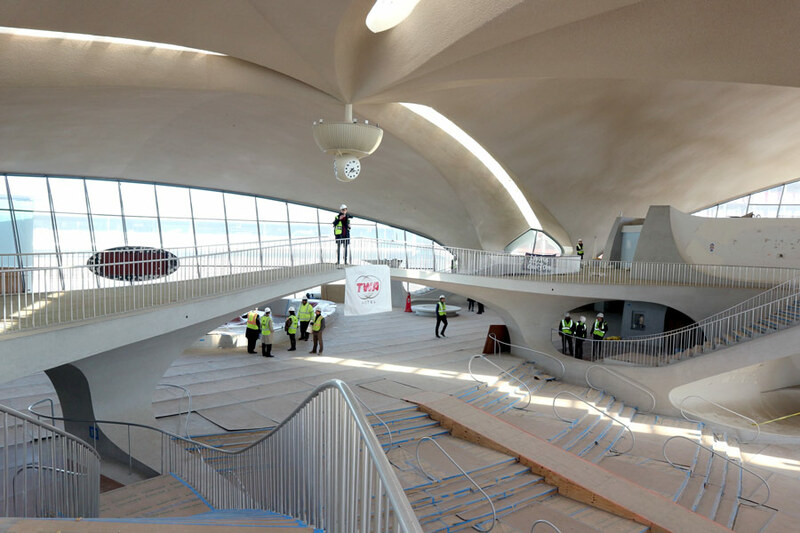 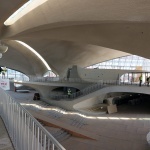 The structure flanks the TWA terminal but leaves enough space for the older structure’s swoops to define space in the interior courtyards. 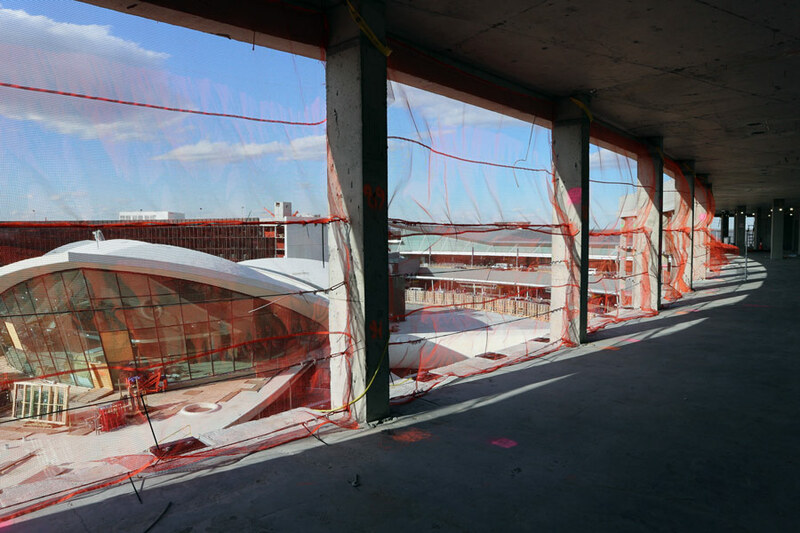 Since the project broke ground in December 2016, a lot has happened: on yesterday’s tour, crews were framing the lower floors of the hotel, and work on the triple-glazed glass facade was almost complete. 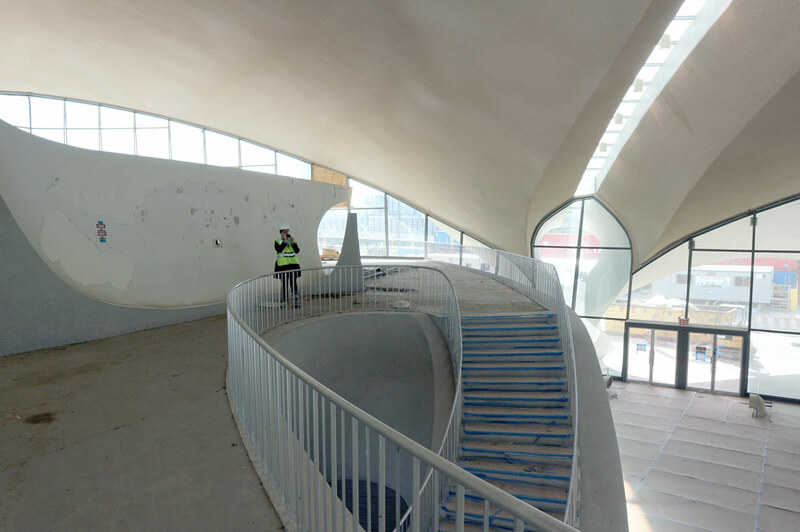 The rooms, as you might guess, are midcentury-themed. 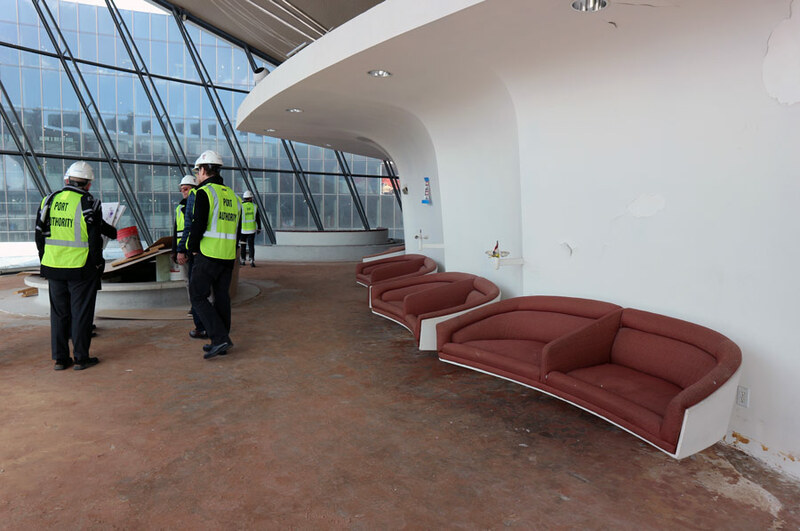 Each will include a martini bar, and be outfitted with Knoll favorites like tulip tables and womb chairs. 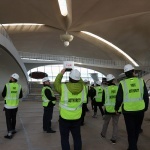 The tour was organized by Aerial Futures as part of a two-day symposium on airports and the city. 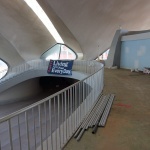 The nonprofit holds events all over North America and Europe and is dedicated to exploring the architecture of flight and mobility.